Ashley Burch, star of Hey Ash, Whatcha Playing? and Rosalind Wiseman, author of Mean Girls, posed the question of what if Master Chief asked for help once in a while? Or showed any emotion at all for that matter? Ashley Burch has played games since before she could play games. "There's video of me as a toddler wandering around with a NES controller not plugged into anything," said the star of Hey Ash, Whatcha Playing? 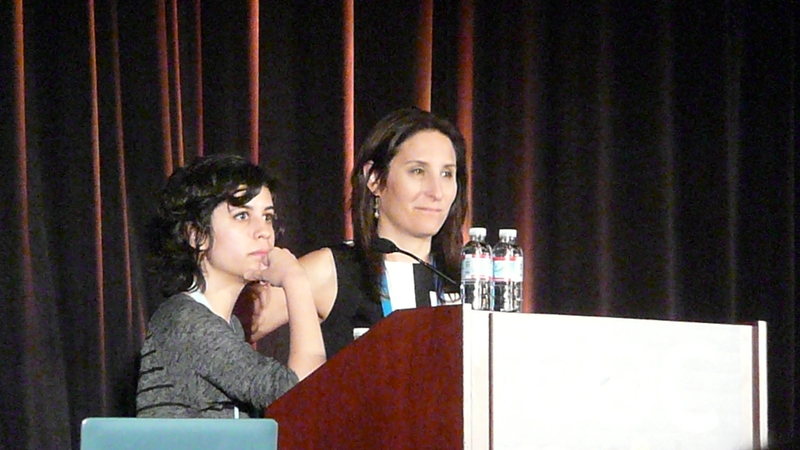 at her panel at GDC 2014. But she often stops playing games because of the abuse or coddling she'll receive. Harsh, offensive language is the norm in games like League of Legends or Call of Duty. Author Rosalind Wiseman has been studying boys' social patterns for a book similar to how she investigated girls in the Queen Bees and Wannabes, which Tina Fey turned into the film Mean Girls. 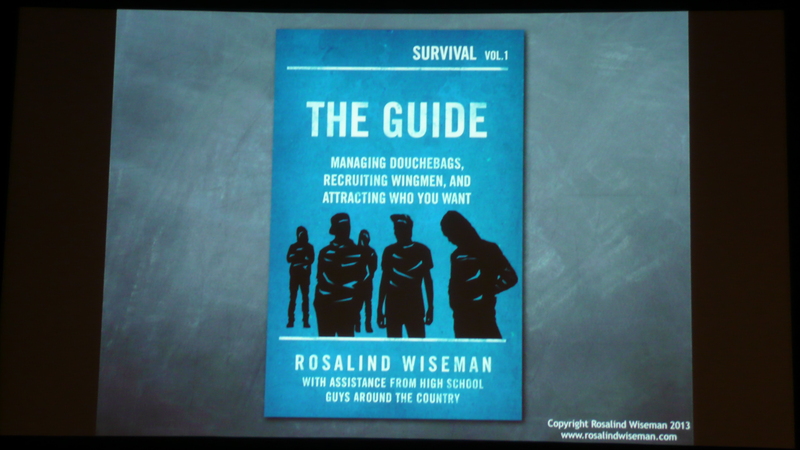 While writing the follow-up based on boys instead of girls, Wiseman wanted to understand exactly why boys in school exhibit such awful behaviors online. 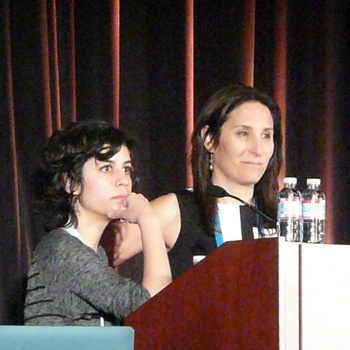 She enlisted Ashley Burch to help her understand the world of video games about a year and a half ago, and the two of them used their panel to show their findings to the very people who make these "beautiful games." In addition to being an author, Wiseman is also an educator and advises many teachers and school administrators on how to deal with these problems. She takes her job very seriously and she rejects the idea that abuse is just something people have to deal with, both online and in real life. "One of the things I think I have the responsibility to do as an educator and an adult is to say that just because it's common, you see it every day, that doesn't make it right," she said. "So if we see homophobia or racism, sexism and all those degrading things happen then we as adults have to acknowledge that. We have to be able to concretely and respectfully address it with young people in ways that resonate with their real lives. There's certainly nothing that resonates more with them than their experiences with gaming." 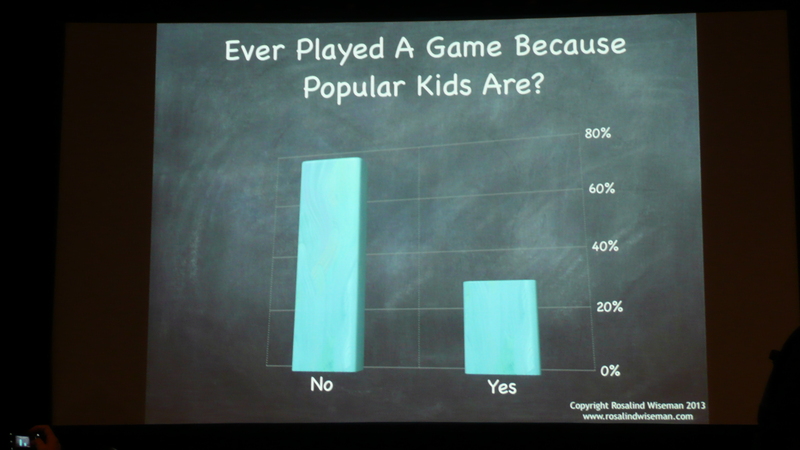 Burch and Wiseman conducted a survey of a thousand school age boys and indeed found that video games were a very important part of their lives right now. The kids who took the survey, admittedly a fairly small sample size but significant, said that games were more likely to have an impact on them than a movie or a TV show. "We asked kids to rank their interest in video games from 1 to 10, and 51% of them answered with an 8, a 9 or a 10," Burch said. "Which is a lot." 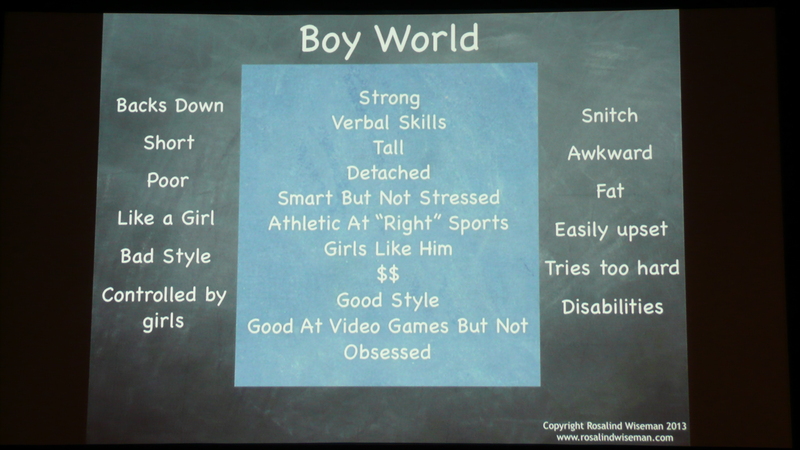 The stories and characters in games have a significant impact on how boys see themselves, Burch and Wiseman posited. When asked what their favorite character was, the kids predictably mentioned Link and Mario, but the third highest ranking character was Master Chief from Halo. Burch showed a series of clips from Halo cinematics in which Master Chief showed absolutely no emotion, even when dealing with crisis. This echoed the traits that boys said they consider the more popular kids exhibit such as strong, stoic, etc. But Master Chief's unwillingness to accept help and his pillar-of-stone demeanor might be exactly why boys lash out when playing games online. "Boys abilities to express themselves, to understand their insecurities, to be OK with showing pain, to be OK with needing help, is essential to their happiness because those abilities are essential for social connections," Burch said. "Without it, boys only acceptable outlet is anger. "And as Yoda tells us, anger leads to hate," she continued. "Which is why sexism and homophobia are directly entwined with the emotional competency of boys and men." Wiseman and Burch concluded their talk by urging the game makers present at GDC to create game characters that show the full range of human emotion. "You do things that really matter to young people," Wiseman said. "So we're asking you to join with us." 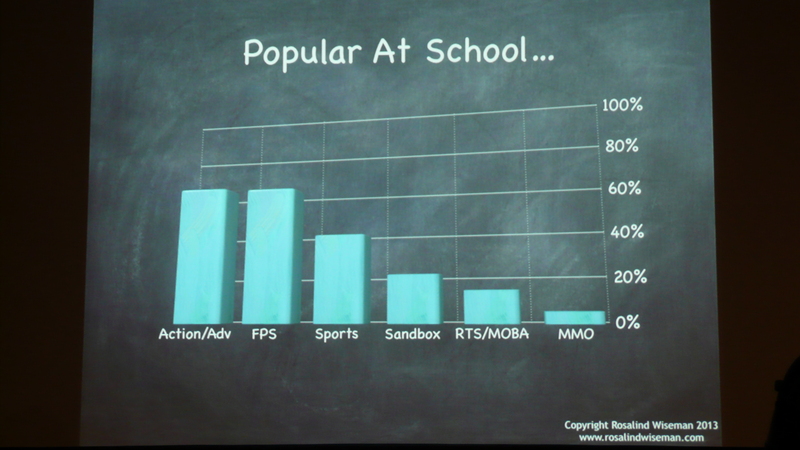 As you might expect, there was a strong reaction from the packed house of game developers. Most of them were extremely supportive and showed their desire for change in the industry with a large ovation, but one raised the question of why Burch and Wiseman wanted to take every male character like Master Chief and "turn him into a girl." There were a lot of "oooooohs" from the crowd at that statement. The questioner had basically responded with the equivalent of a sexist remark in a League of Legends match. Wiseman gave the perfect rebuttal, free of judgment or anger herself. "When you do that you are literally saving children's lives. Thanks."